OCBC and UCD enjoyed a good weekend at the Champs. Claire Lambe of OC won both the Womens Single and Lightweight Single, great performance. 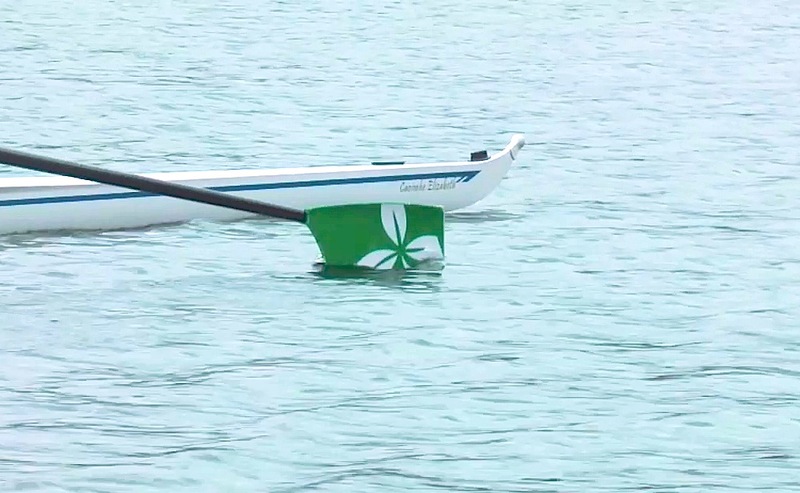 The Mens Senior Comp 4X featuring Sean Jacob and Con Collis (with Commercial) also won – according to our records that’s the first Mens Pot in OC colours since 1964. Nice 50th anniversary. In the Mens Senior 4-, Sean and Con were joined by Gearoid Duane and Peter Grogan and were pipped into 2nd by NUIG / Grainne Mhaol. Gearoid and Peter were fancied in the S2- but had to withdraw due to illness. 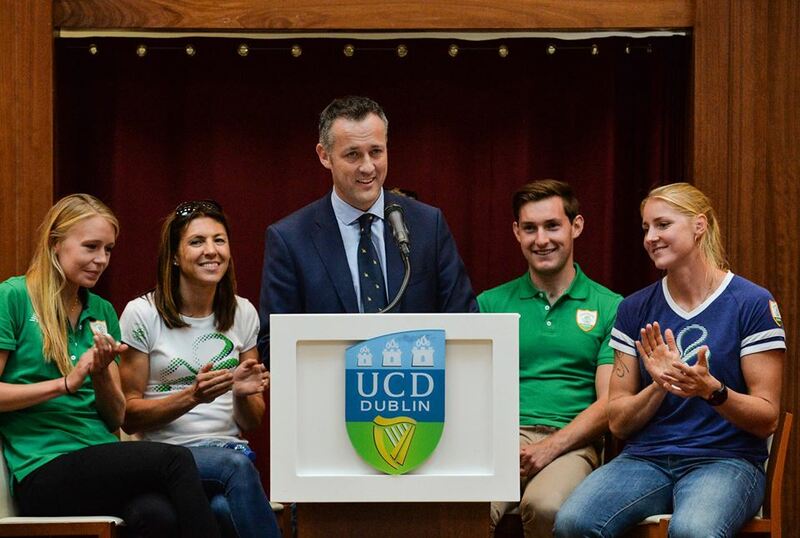 The event was, however won by UCD which is an excellent result. In the Mens 1X, Paul O’Donovan of UCD had a good race and was just beaten into 2nd by 2 secs by Keohane of Lee Valley. 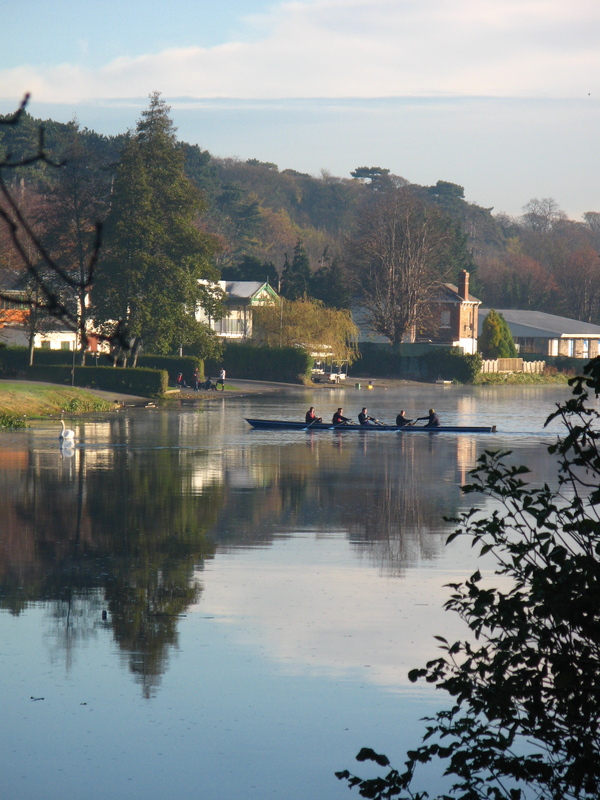 Turlough Hughes of UCD won the Inter 1X whilst UCDBC regained the sought after Novice VIII Pot as well as the Club VIII. 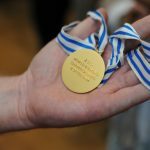 The UCD Ladies also won the Inter VIII. 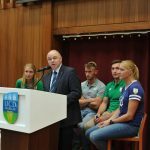 The UCD/OC Comp SVIII was beaten by NUIG/Grainne Mhaol but it is a great step to have the Clubs competing together in this manner, something we have been working towards for some time. 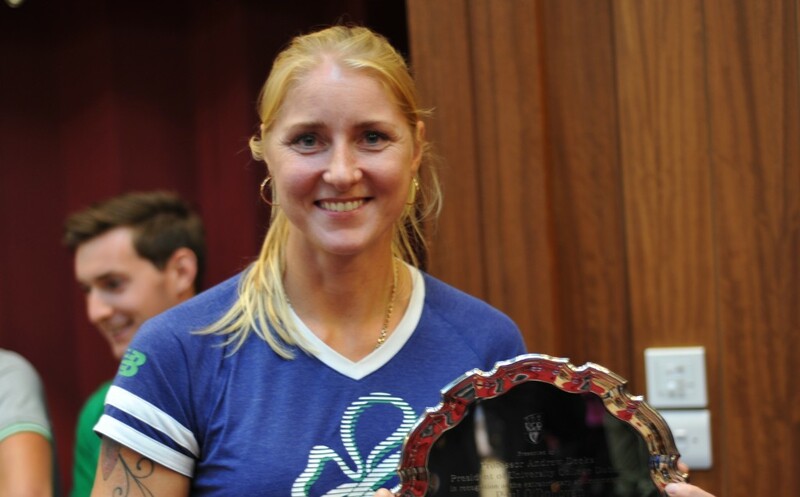 Also at the weekend Sanita Puspure won the B Final at Lucerne, a very good result. Finally the UCD VIII that won the Ladies Plate in 1974 had an anniversary rowover on the Sunday of HRR. Nice recognition for the lads who, word has it, enjoyed a great weekend. Recovering from the setbacks due to illness which affected her 2013 season, Sanita Puspure continues from strength to strength, winning the B Final in Lucerne with what the Irish Times referred to as a commanding performance. Level at half way with Erichsen (the Danish Sculler, who won a silver medal at the London Olympics), Sanita pushed through for the last 500m to win by over a length ahead of Russian Levina with Denmark’s Erichsen coming in third. 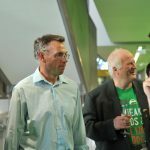 A great performance by the OC sculler, according to Ireland high-performance director Morten Espersen “Sanita is not far from where the medals will be”. As ever, we wish her the very best. 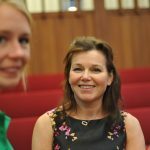 You can keep up to date with Sanita’s progress by following her on Twitter. 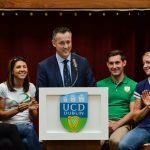 In a recent post, Sanita tweeted a picture of Mother’s race at her children’s’ sports day – wouldn’t fancy anyone else’s chances! 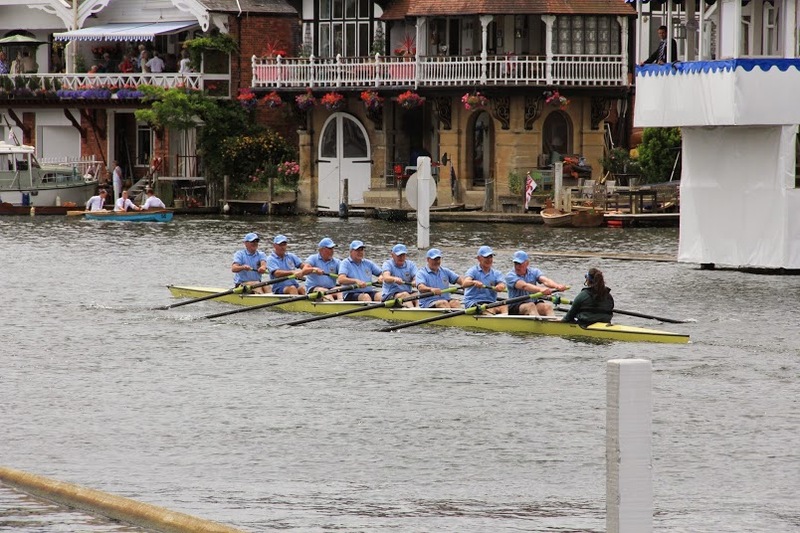 The 1974 UCDBC Crew that won the Ladies Plate at Henley Royal Regatta were invited back to row over the course – a few pictures of this event below. 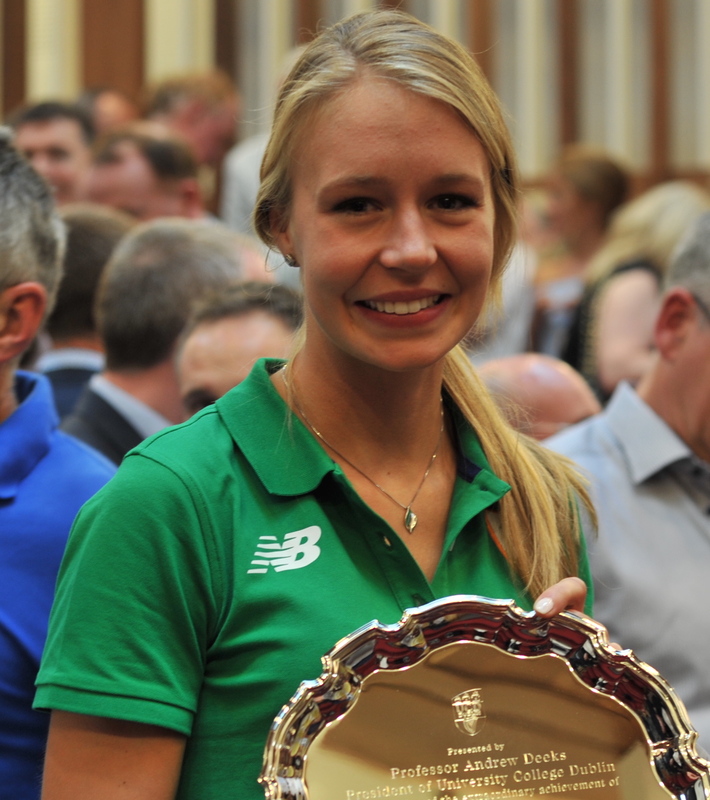 Sanita Puspure has again been selected for the Ireland International team in the W1X. 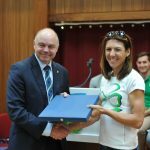 Following her excellent top 10 finish at the 2012 London Olympics, Sanita suffered an injury and illness-ravaged 2013 season. She is now getting back to full fitness and is looking forward to the international regatta season. 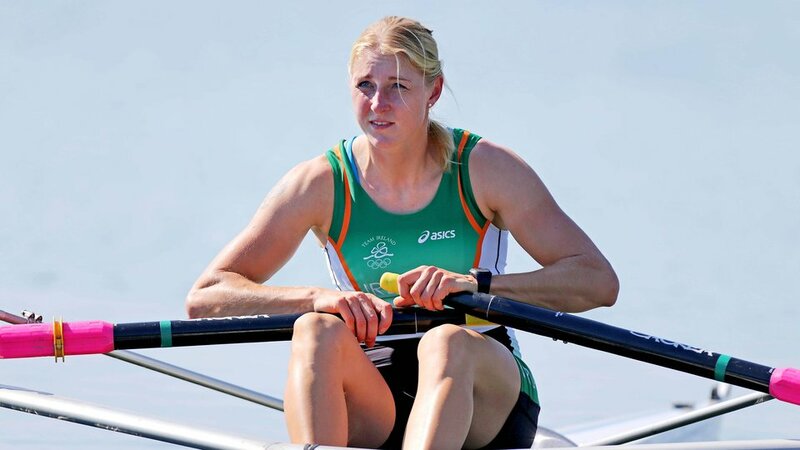 We are also delighted that Claire Lambe who has, with the support of the Old Collegians RDF, been excelling for UCDLBC at international level in recent seasons in the LW1X has, having finished at College, made the switch across to OCBC. 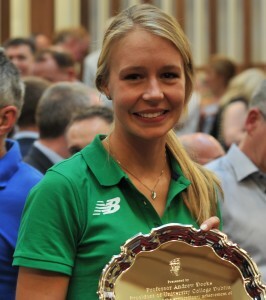 Claire is also in the international team and we look forward to supporting her as much as possible. 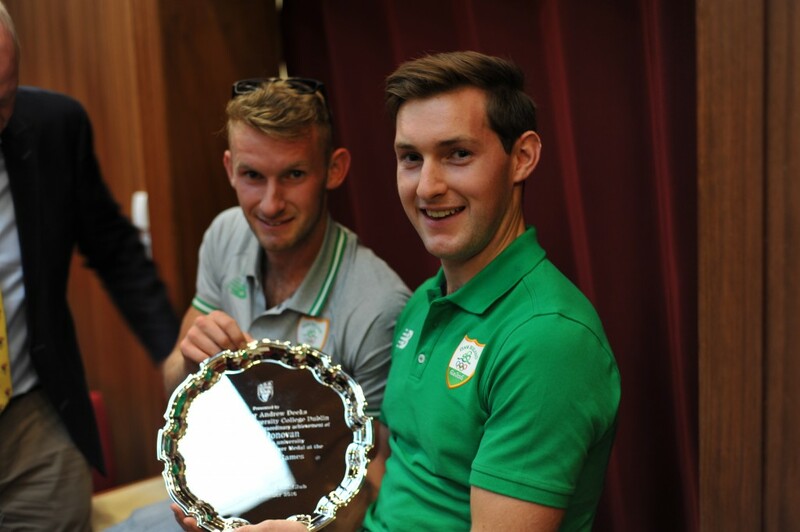 In addition Paul O’Donovan of UCDBC has been selected for the World Cup Regatta Programme. Dave Neale of OC is also competing at the very top level and is in the mix for international selection. 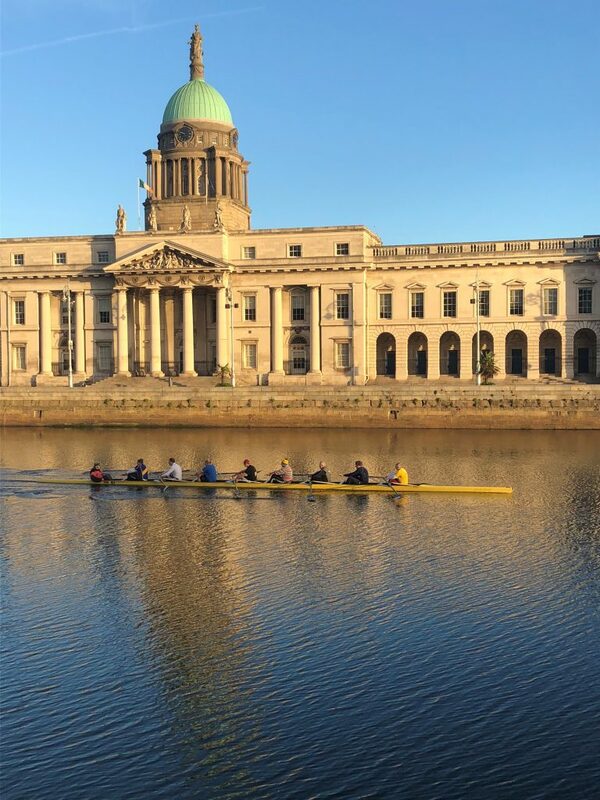 The Masters crews are looking forward to a full Regatta season with Trinity next on 19th April. 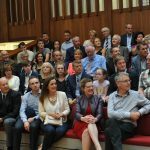 The 1987 UCDBC Gannon Cup VIII that came 2nd in a reunion rematch last year are heading further afield this season and heading for Munich Masters Regatta in July. 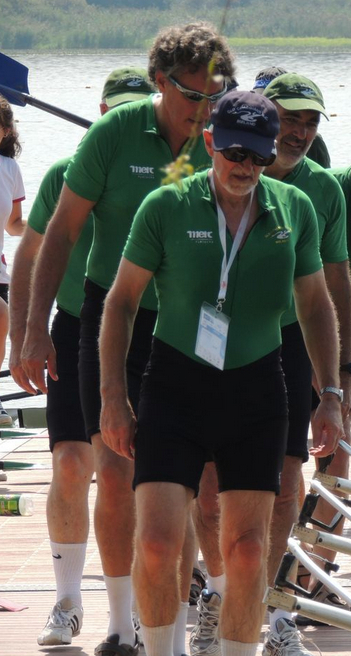 Old Collegians Boat Club was well represented at the 2013 FISA World Masters Regatta which took place in Varese, Italy in September. 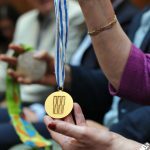 The event attracted 3,355 athletes from 40 countries, the biggest ever entry. 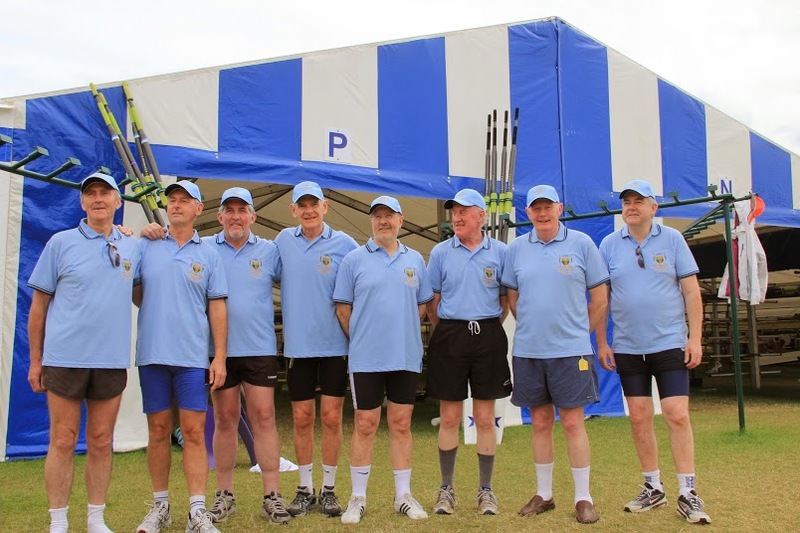 The club took part in C (over-43), D (over-50), E (over-55) and F (over-60) events. 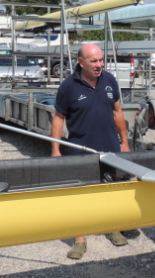 Having our own boats at the event was a great advantage and credit is due to the towing party, Tom Fennessy, Paul Romeril, James Heney and Greg Hamil, who towed the boats from Dublin to Varese. The weather conditions on the homeward journey were particularly challenging. 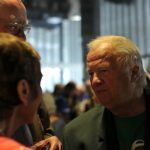 It was as a result of Tom Fennessy’s great skill and experience that the trailer and all the boats arrived back in Dublin unscathed. Given that the event was so close to one of the world’s fashion capitals, Milan, it was appropriate that the OC crews turned out in style in their new Merc Partners sponsored one-piece suits. Ned Sullivan, Steve Wilmer and Paul Romeril on the catwalk in Varese. Phelim Murray sets the rhythm for OC E8+ on the way to the start. 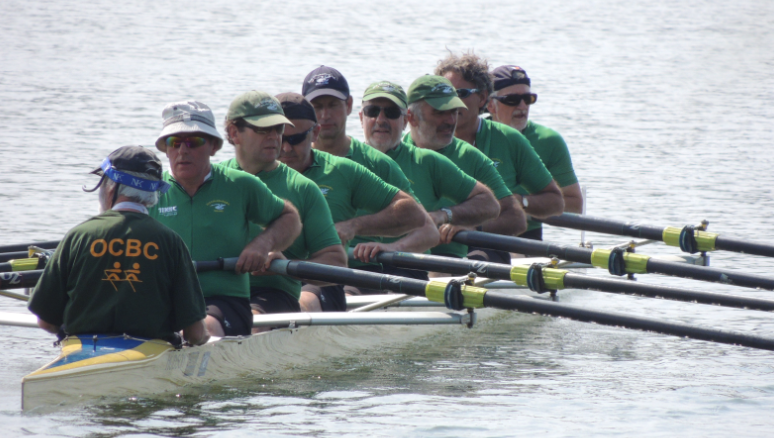 “Amongst the competitors was a large contingent of Irish rowers who were making their annual trip to the Masters Regatta, the highlight of their season. 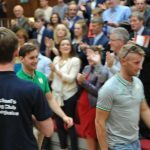 “The standard of racing here is really high,” said Commercial Rowing Club, Dublin’s Liam Gleeson. “People often think that it’s easy to win here but it is competitive. 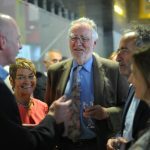 It is not just about turning up,” he explained. In spite of the heat our crews were competitive. 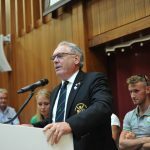 Barry O’Connor’s insightful selections saw the OC rowers form composites with Commercial, Cappoquin and City of Derry Rowing Clubs and all of our boats were in the hunt at the finish. 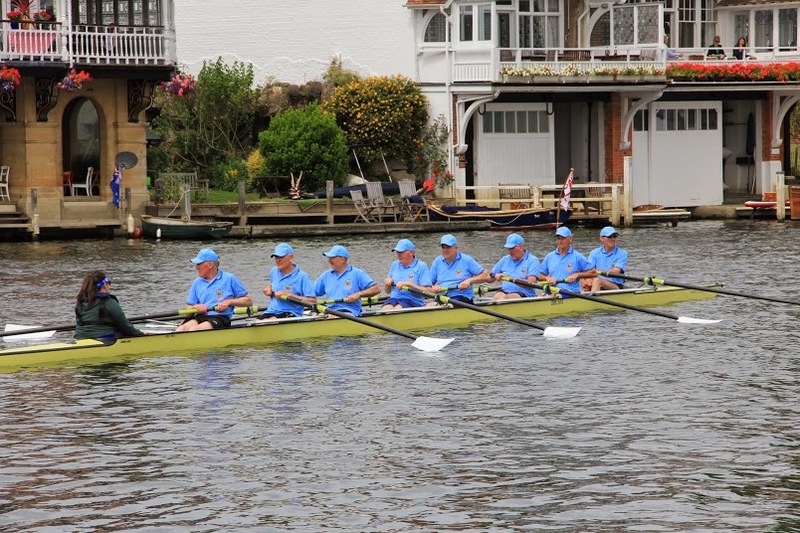 Certainly composite crews and international crews are now the order of the day particularly in the eights events. 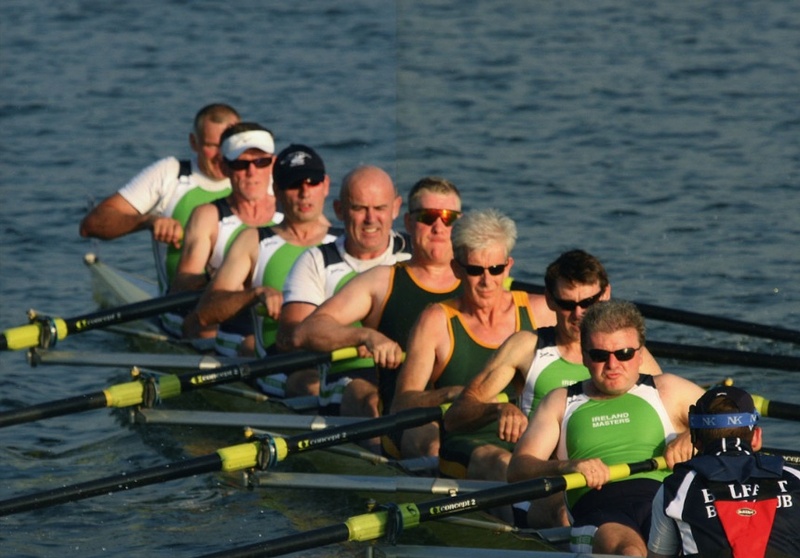 It was down to an Ireland eight comprising oarsmen from Commercial Rowing Club, Belfast Boat Club, Drummoyne Boat Club, Cappoquin Boat Club and Dan Donnelly from Old Collegians to bring home a medal in the D8+ category. 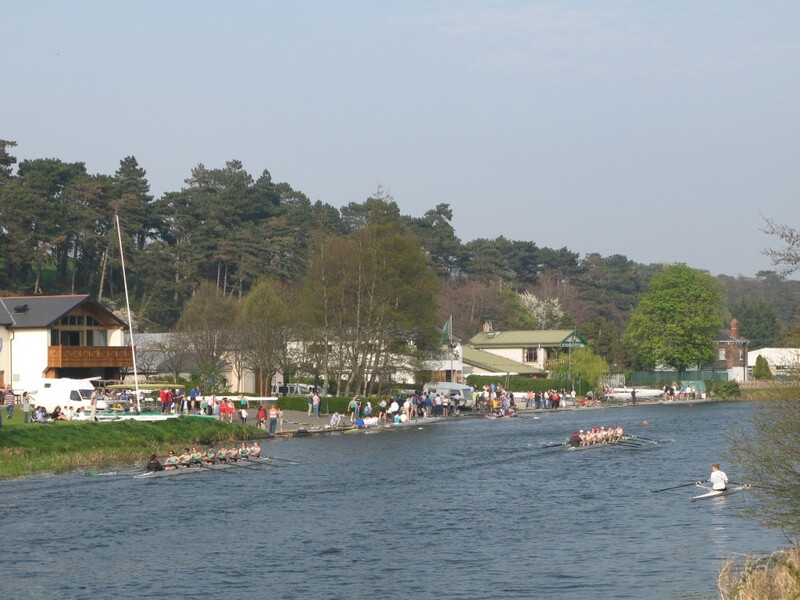 The next event on the masters rowing calendar is from July 25th – 27th 2014 : 5th Euro Master Regatta Munich. Hopefully it will be a little cooler! 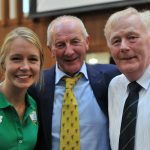 The Ireland crew winners of the D8+ in Varese. 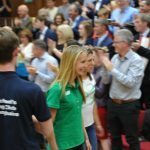 There was a great response to the appeal to support Sanita in her Olympic bid. 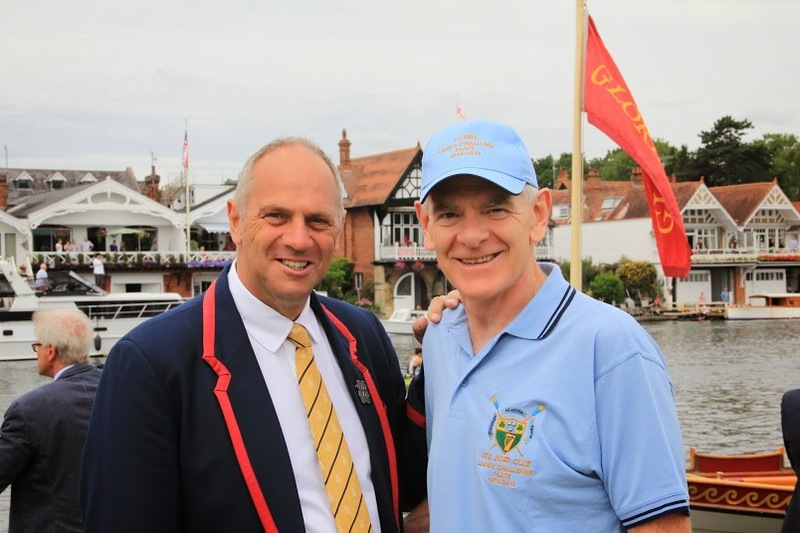 As well as donations received from members of Old Collegians, we received donations from current and previous oarsmen and oarswomen from clubs across the country. Sanita is very grateful for everyone’s assistance, and has asked that this message from her be shared. 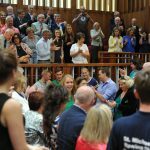 I wanted to say you all a few words before leaving for London in two days’ time. Firstly I wanted to thank every one of you that have been supporting me since I joined the club, although it was only four years ago so many things have happened and changed. Never in my wildest dreams had I thought that I could qualify for London Olympics in just over three and a half years from having our youngest child and that I would be preparing now for the biggest event in any athletes sporting life. I always had that feeling inside me that I was capable of achieving something more and I did not want to spend the rest of my life thinking, what if? I was taking one step at the time and the dream kept coming closer and closer and it didn’t look so unrealistic any more. Of course there were times when it was not easy and we had to face some difficulties, but I kept saying – “If you give up on your dreams, what’s the point in doing anything in your life!”. And I guess that’s what kept me going, the Dream. A lot of what I did and achieved would not be possible without the support from people around me and especially from Old Collegians. 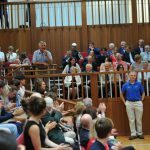 I want to thank Phil O’Keeffe for coaching and guiding me back in to competitive rowing, Paul Romeril for helping out with the equipment, Murrough, James, Barry for being there and supporting. 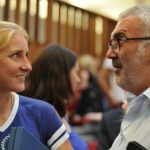 There is one man that deserves a very big thanks from me and it’s John O’Keeffe, ever since I joined Old Collegians he is always been there, helping me along the way. I know there are a lot more people that I have not even met but they have been supporting me on this incredible journey and I hope to meet you all one day and thank you. I will do the best I can in London, I will fight for every place and hopefully make you proud.